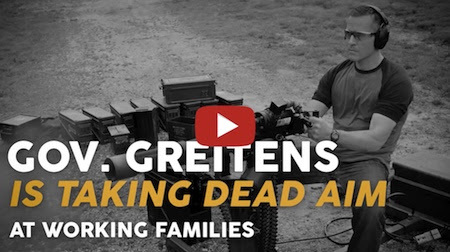 KANSAS CITY, MO – A new ad campaign launched today challenges Governor Eric Greitens’ efforts to repeal Prevailing Wage by featuring a Missouri veteran who would be negatively affected by the changes. Central to the campaign is a new TV ad featuring Eric Phillippe, a US Army veteran who is a carpenter and a father in Missouri. Eric also serves as a volunteer firefighter in his home town. “When Eric Greitens said he was going to change politics as usual, folks like me didn’t think the first thing he would do as governor was take dead aim at our jobs and our families’ livelihoods by working to repeal Prevailing Wage,” says Phillippe in the ad. Governor Greitens ran on a platform of creating jobs and fighting for middle class families, but since taking office he has pursued policies that would hurt the economy and cut the wages of Missouri workers. In his first State of the State address, Greitens called for repealing Missouri’s Prevailing Wage laws. Prevailing Wage ensures that ALL skilled workers are paid fairly, so employers can’t undercut them and drive wages down, hurting our economy. Prevailing Wage laws also ensure our schools and roads are built safely, by qualified and skilled workers, not by out-of-state companies or undocumented workers. Repealing Prevailing Wage would mean firms could bring in cheap, out-of-state labor to outbid Missouri companies. Since 10.5% of Missouri’s construction workforce are veterans compared to 6.7% of its state workforce, repealing Prevailing Wage in Missouri would not only hurt working families, it would disproportionately affect Missouri veterans. Missouri veterans could have their pay cut or lose their jobs. The new ad will run on TV statewide as well as online. 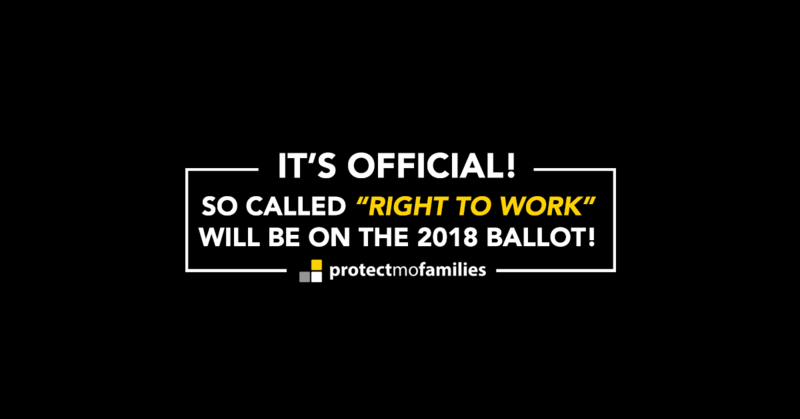 It is part of larger public awareness and grassroots efforts by community organizations, contractors and businesses to protect Prevailing Wage in Missouri.